I gave it a 10 - I think you deserved a higher rating. I can even see the texture of the egg shell. Great use of DOF. Wonderful warm lighting. Well done. Warm cozy feeling th this one. Nice texture and lighting. Good use of both colors of eggs! Very nice tones and lighting. What a lot of entries! You got one of only two 10s from me this time around. Well done! This is perfection in my opinion, would love to frame this for my kitchen 10! Really nice DoF with the background being completely out of focus. The greeny colour really goes well with the eggs, which are excellently lit. Nice lighting and a good simple background. Excellent take on this challenge. Very pretty colors and great composition, but not really an extreme close-up. Nice sharp shot! ood blurred background as well. 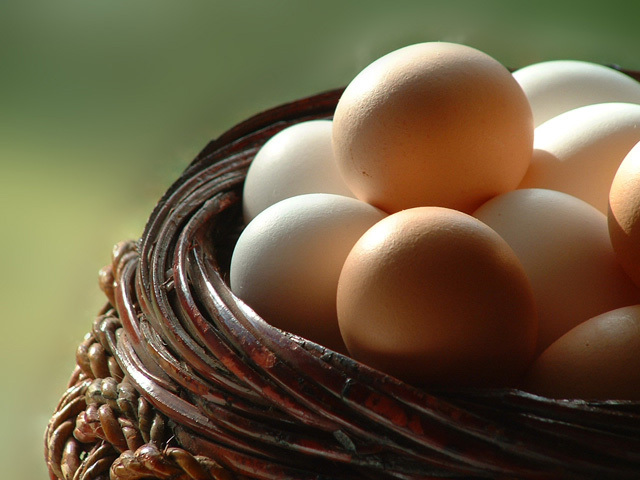 The texture of the eggs and the texture of the basket is great. Proudly hosted by Sargasso Networks. Current Server Time: 04/22/2019 08:38:54 PM EDT.